HUTCHINSON, Kansas – Where else can you see a “Dancing with the Stars” champion, Grammy Award winners and a country artist who can hang his hat on 11 No. 1 hits? And that just scratches the surface regarding this year’s Kansas State Fair Nex-Tech Wireless Grandstand concert series. That’s correct — throughout the 10 days of the state fair, some of Kansans’ favorite entertainers will perform — capping off a day that has already included fair staples like fried food, midway rides, pig races, livestock shows and shopping, plus much more. A Kansas native will kick off the 10-day event. Successful Nashville songwriter Nicolle Galyon, who hails from Sterling, will grace the grandstand stage Sept. 6. In February, Galyon was honored with a Country Music Association Triple Play Award, which honors songwriters who have achieved three No. 1 hits in a one-year period. Galyon will open for American radio personality and 2018 “Dancing with the Stars” Mirrorball winner Bobby Bones, who will perform with his comedy show Bobby Bones and the Raging Idiots. Meanwhile, longtime country crooner Billy Currington — with 11 chart-toppers — will bring the crowd to their feet Sept. 7. Contemporary Christian singers Francesca Battistelli and Zach Williams, both with Grammy and Dove awards on their resume, will perform Sept. 11. The lineup also includes rock band Skillet, Sept. 8; and rising country stars Lauren Alaina with Mitchell Tenpenny, Sept. 13. Tickets go on sale at 8 a.m. Friday, April 5. Fans can snag tickets one day earlier, on April 4, by signing up for the fair’s email list on www.KansasStateFair.com. Prices include gate admission if purchased by Aug. 11. Here’s the full list of grandstand performers. • Bobby Bones and the Raging Idiots with Nicolle Galyon. Friday, Sept. 6; Tickets from $20-$65: This comedy act is comprised of Bones, who hosts the nationally syndicated “The Bobby Bones Show,” along with Producer Eddie and a group of random friends. Besides winning the Mirrorball, Bones is also a full-time mentor on ABC’s American Idol. 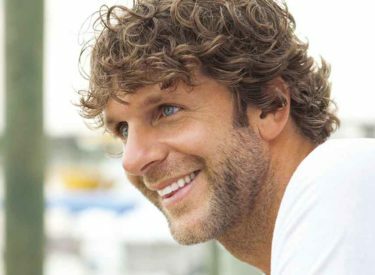 • Billy Currington, Saturday, Sept. 7. Tickets from $25-$65: Grammy-Award nominee Currington is known for his distinct voice and poignant chart-topping summertime ballads. Since his debut album in 2003, Currington has 20 Top 40 hits, including No. 1 songs “Must Be Doin’ Somethin’ Right,” “Pretty Good at Drinkin’ Beer,” “Do I Make You Wanna” and “People are Crazy.” In September, he released a new single, “Bring It On,” which peaked at No. 29 on the Country Billboard charts. Currington’s latest album is expected to be released this spring. • Skillet, Sunday, Sept. 8. Tickets from $20-$55: This quartet has cemented its place as one of the 21st century’s most successful rock bands. Skillet received two Grammy Award nominations for their album Awake. Their single “Monster” is the eighth most-streamed rock song of 2015 with more than 57 million plays on Spotify. “Monster” also earned the distinction of becoming the best-selling digital single in the history of Christian music. Williams made music history when he achieved two consecutive No. 1 radio hits for a total of 35 weeks with “Chain Breaker” and “Old Church Choir.” Williams was nominated for a Grammy for Best Contemporary Christian Music Album in 2019. • Lauren Alaina with Mitchell Tenpenny, Friday, Sept. 13. Tickets from $20-$55: Alaina, a runner-up on Season 10 of American Idol, includes her first No. 1 hit, the title track “Road Less Traveled.” Other hits include “Ladies in the ‘90s,” “Like My Mother Does” and “What Ifs,” which she sang with Kane Brown. All concerts begin at 7:30 p.m. The fair is still finalizing its Saturday, Sept. 14 grandstand act. Meanwhile, two free concerts, which will take place at Bretz and Young Injury Lawyers Arena, will be announced later this spring. Please be cautious when purchasing tickets. Etix is the only authorized seller for fair tickets. Tickets can be purchased through Etix by visiting the Kansas State Fair’s website — www.kansasstatefair.com; by phone at 620-669-3618 or by stopping in at our ticket office in the Administration Building on the Fairgrounds, 2000 N. Poplar, Hutchinson. The ticket office opens from 8 a.m. to 5 pm. April 5 and 6 to accommodate fans. Regular box office hours are from 8 a.m. to 5 p.m. Monday through Friday. The Kansas State Fair is Sept. 6-15.